IM Kislik,E drew a tricky ending against Huang(2478) but it’s not clear that white maximized his chances in the K+P ending. Only white is playing for more than the draw after 45.Kd2. How should black defend? 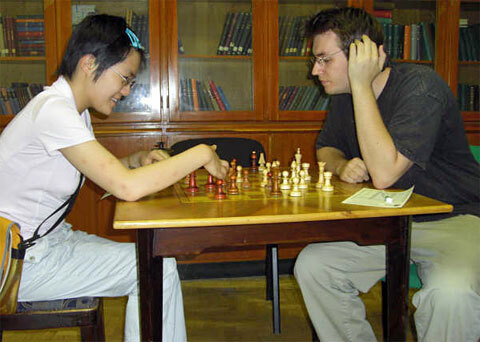 Budapest resident IM Kislik,E drew WGM Huang Qian(2478) and has 3.5/5. IM Kislik lost to GM Wesley So today. Kislik has been living in Budapest for several years now. Here is Kislik’s rd 2 game. Black is making a big effort to press the pawn center with 13…Qe6. What do you recommend for white? IM Kislik, currently living in Budapest, won his first game and will play Wesley So in rd2.